During Dr. Lisa’s younger years, she was diagnosed with scoliosis, suffered from sports injuries and had severe growing pains. Difficulty focusing in classes and fatigue added to her troubles. When she discovered chiropractic care, it transformed her health and life. Dr. Lisa obtained a Bachelor of Science at the University of Manitoba, then enrolled at Life University in Atlanta, Georgia. 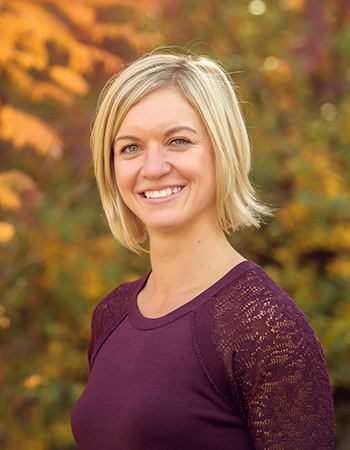 With a passion for working with children, she focused heavily on pediatric and prenatal chiropractic care. She continues to learn more with extensive training in these areas, as well as on the latest, most precise techniques in chiropractic. This experience and knowledge allow her to deliver a high quality of care, addressing the cause of your concerns and correcting the source. Additionally, Dr. Lisa holds a certification in the Webster Technique. Reach out to Inspire Chiropractic & Wellness Studio in Kamloops today to learn more about what we may be able to offer you, or to book your first visit!